Apparently the Hollywood execs got together and decided to make this Good Friday a Make-Rachel-Feel-Insanely-Old Friday. I'm not sure what religion that serves, but it's working. I myself had just graduated high school when American Pie hit theaters in July of 1999. So seeing this group all old and decaying makes me feel that much older (even though my 10 year high school reunion has already passed, which I skipped). I tried to staunch this icky feeling of adulthood by convincing myself that these "teen" comedies are always filled with actors in their mid-20s so they really are that much older than me, which worked...until I actually looked up the actors' ages and outside of three who were 23 to 26 at the time, the rest are only a year or two older than me. Ignorance truly is bliss. So part of me thinks I should just protest American Reunion on the grounds of trying to remain forever young by not allowing myself to see these kids all grown up. On the hand it's bound to be full of raunchy, juvenile humor, which will probably some how make me feel even older. I predict it to be a lose-lose situation, but will check out the flick eventually. 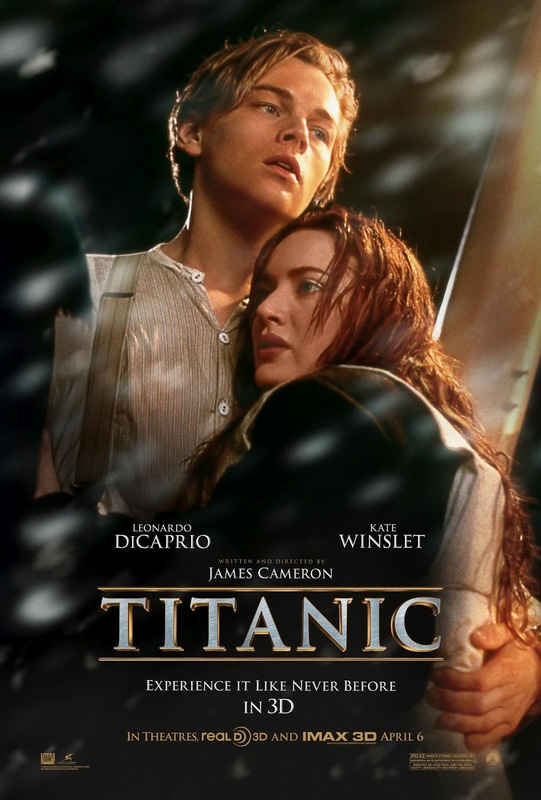 Speaking of high school, I have to admit if one movie defined that period, it'd be the original release of Titanic, which came out right before Christmas of my junior year. And being a 16-year-old girl, I thought it and Leo were the greatest ever, but I think I only saw the film one time in the theater. Now 15 years later (oh it hurt to write that) and I've watched it a dozen times on dvd, but the chance to see it on the big screen again is quite enticing. I definitely don't want the 3D "experience", but I'd shell out some coin for a regular 2D version and 3+ hours in a dark theater with young Leo again. If you feel old, I must too. I'm kind of excited to see American Reunion though. And if I can see Titanic in 3D I might actually go. Sad week at the theaters though. TGIF anyway. I was hoping to see Titanic in 2D, but Brad's on call this weekend and next, and it'll probably be a 3D only option after that, most likely. Curses. Oh hey, you don't hate Titanic or Chicago. Maybe we have more in common than I would have previously surmised. I'm right there with you. I want to see the rerelease but am hoping I can skip the 3D. Well 2D will be virtually impossible here, since there is only screening a day at 9:45 a.m. Boo!